HS Design Interiors has a passion for innovative design and brings an effortless ability to combine design styles to create effortlessly chic, livable spaces for any lifestyle. Listening to my clients is essential to creating a successful interior for my clients. With a keen eye for detail, expertly trained sense of scale, color and texture, I custom craft each design unique to the essence of my client’s unique vision. The process shouldn’t be stressful – as an interior designer I believe in being an advocate for my clients, guiding them in all aspects of the design. Whether sourcing finish materials for a renovation or seeking out that unique piece to complete a room, every detail is thoughtfully selected. The end result – a transformation that leaves a lasting impression. True Identity Concepts is a boutique interior design & decorating company for busy homeowners preparing to add their true [style] identity within their home. Specializing in residential spaces, True Identity Concepts offers collaborative design services directed at reducing the time consumption involved in creating tailored living spaces that fit a modern lifestyle aesthetic. 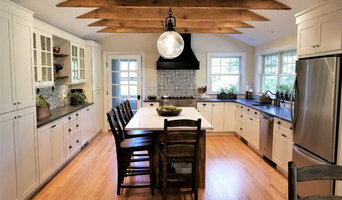 Serving Westchester County, NY and Greenwich to Fairfield County, CT True Identity Concepts offers whole home interior designs, with a specialty in kitchen and bathroom designs, and manages our customer's projects from beginning to end for a reliable and positive design experience. As a result of not only listening to our customers needs, we hear your vision, to create one-of-a-kind, and functionally beautiful, "Interior Designs That Capture Your True Identity." Long Island's Interior Designers Best of Houzz 2014 & 2015! Riese Design is a Residential Design company where interior dreams come true. Whatever the need, RD can assist in making your vision a reality. Based in Long Island and serving local clientele, Remote Design services are also available to those further away and more information on this service can be seen on my website. Riese Design can and will assist with new construction, remodels, space planning, color balancing, AutoCAD drawings, décor services, personal shopping, and more. Please inbox me, visit my website, or call for more information regarding anything you may need! BA Staging & Interiors specializes in staging vacant luxury homes, new constructions and model home design. We are the only staging company in the area who offers also vacant staging packages for different level of homes. We also have extensive experience with occupied house consultations. Multiple national and HOBI awards winning luxury home staging company specializing in creating "Cheerful Interiors for a Sophisticated Lifestyle" for the high expectations of luxury home buyers. We incorporate current design trends, elements of Birgit's European heritage and global travels creating unique, sophisticated and inviting spaces. The mix of modern, traditional and eclectic elements never leave her staged rooms short of interest to make buyers fall in love with the property for sale - resulting in a faster sale at the top market value. 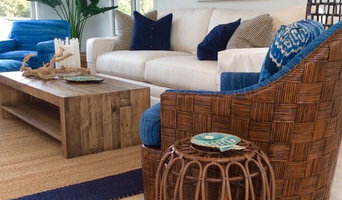 Birgit has been trained by HGTV Star Matthew Finlason (“The Stagers”) on the most advanced staging techniques incorporating Lifestyle Merchandising and Target Staging to give home buyers a lifestyle experience they are dreaming of. Birgit's advice has been sought out by several local TV stations of ABC, NBC, CBS, FOX, and the radio. She has also been featured numerous magazines. Celebrating 30 Years! Small businesses rule!!! 30 years later and we are still passionate about out craft! Full service...nothing too small or too big! Check out our site ssidesign.com and look at our newest product; Sally Scott's Room in a Box. Fun, affordable, want your whole room done??? Contact us. Let us "MAKE YOUR NEXT THE BEST"
A good home design professional will hone your style down to its very essence and be able to choose a functional layout that feels natural to you. Interior design companies can be involved as much or as little as the client desires. Many clients who hire an interior decorator in Holbrook, NY — particularly those who are remodeling — have a good sense of how the room should look and what products they should use. Often clients will insist that interior decorators use the products already present in the house. Other times a designer will need to start from scratch — especially if this is a newly purchased or just-built home. An interior design company will need to figure out exactly what the client needs, which includes organizing rooms, picking flooring and wall colors, and finding furniture to complement it all. Sometimes that means he or she will have to recruit help from other Holbrook, NY home professionals to help create the perfect look for your renovation. Here are some related professionals and vendors to complement the work of interior designers & decorators: Architects & Building Designers, General Contractors, Home Builders, Design-Build Firms, Photographers. Do your research before meeting with an interior designer or home decorator in Holbrook, NY. Ask yourself what you want your space to become and what it will be used for. Figure out the extent of what you need help with, what your must-haves are and what your budget is. Interior design services can add up fast, so be up front with a potential design firm or individual from the beginning. Also, pick an interior decorator that fits your style. 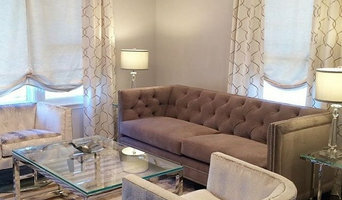 Browse through the portfolios of different Holbrook interior design firms and decide if you would live in those houses. Just because you like something doesn’t mean you could live in it. There's a big difference! Find an interior designer or home decorator in Holbrook, NY on Houzz. Narrow your search in the Professionals section to find Holbrook interior designers near you. You can also look through Holbrook, NY photos to find a room you like, then contact the design firm who designed it.